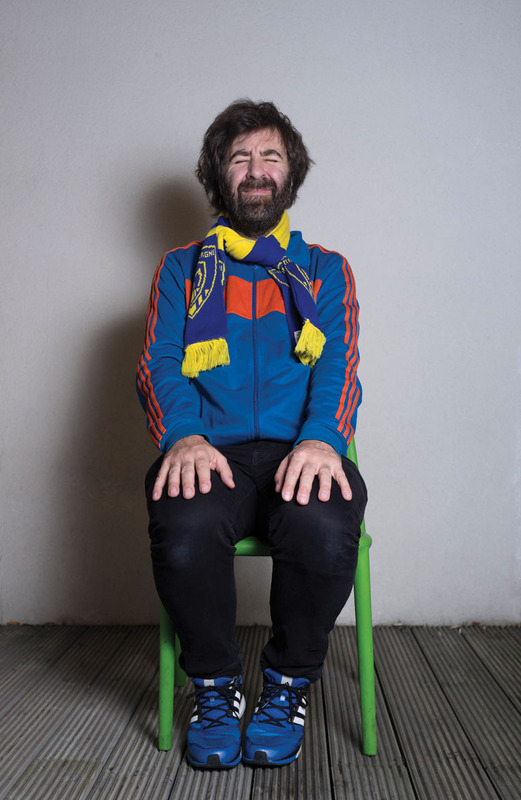 We Are All In The Gutter But Some Of Us Are Looking At David O’Doherty :- Fresh from delighting the Edinburgh Fringe for the 14th consecutive year the lanky Leinsterman, self-proclaimed “Lidl Enya” and former Perrier award winner hits the mac with an evening of exuberant humour and wistful musical numbers played on a tiny 1980s keyboard. Immediately recognisable from Mock the Week, The Apprentice You’re Fired, Have I Got News for You and more, it’s tempting to say that if you’re not familiar with Dara O’Briain then you’ve been in outer space. However, following his hosting of BBC2’s Stargazing Live, O’Briain probably has fans there too. Dara brings his ready wit and fierce intelligence to Birmingham as part of his hugely successful Crowd Tickler tour. “When you’ve a mouth this big, is it any wonder you get into trouble?” asks the Glaswegian chef, broadcaster, journalist and funnyman in this brand new show, “Bigmouth Strikes Again”. Kohli should know; in the late noughties he regularly appeared on our screens in shows as disparate as Question Time, Celebrity Masterchef and The One Show before being suspended from the latter following an accusation of “inappropriate sexual behaviour”. More recently he has been outspoken in his support for Scottish Independence. Expect acerbic, well-observed and intelligent humour. Those of you with long memories may recall Sean Hughes as the boyish host of C4’s Sean’s Show in the early nineties or as the impish team captain on Never Mind the Buzzcocks. In more recent years the TV appearances have become more sporadic, but Sean did survive unscathed from a period as the on-screen love interest of Coronation Street’s Eileen Grimshaw (a vacancy currently being filled by Les Dennis!). Now less fresh-faced and thoroughly embracing his middle-age, Hughes has come to realise that the two sides of his brain have been in permanent conflict between common sense and mumbo jumbo and explains all in this brand new show. Rising star Nish Kumar brings his quirkily titled “Long Word… Long Word… Blah Blah Blah…I’m So Clever” to the Glee Club having previously won acclaim supporting David O’Doherty and Milton Jones. As you may expect from the host of Radio 4 Extra’s Newsjack there will be thought-provoking satire mixed with piercing observations on topics as diverse as Mumford and Sons, ISIS and Jeff Goldblum. Stafford’s own Dave Gorman returns to the Symphony Hall hot on the heels of another commercially and critically successful series of Modern Life is Goodish on the channel with which he shares a name. If you have been lucky enough to have seen any of Gorman’s previous tours such as Googlewhack Adventure or A Better World then you will know to expect razor sharp observation and thunderingly original Powerpoint based story-telling that has often been imitated but never bettered. Comedy may not have become the “new rock’n’roll” it was proclaimed by many to be when Rob Newman and David Baddiel were selling out Wembley Arena in 1993 but it’s a joy to have the former of the partnership back on stage in the somewhat smaller, but far more lovely locale of the Bromsgrove Artrix Theatre. In “The Brain Show”, Newman takes a droll look at the functions and capacity of the human brain and in a comedy first will be hooked up to an fMRI scanner recording the real-time activity of his capacious cerebrum. This entry was posted in Birmingham, Comedy and tagged Dara O’Briain, Dave Gorman, David O’Doherty, Hardeep Singh Kohli, Nish Kumar, Rob Newman, Sean Hughes. Bookmark the permalink.